Wednesday, August 15, 2018 - Deputy President William Ruto seems exhausted over his Tanga Tanga movements. 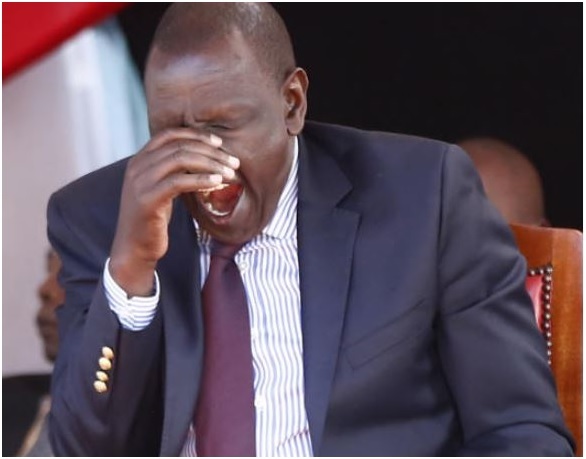 Ruto has been crisscrossing different parts of the Country hunting for votes through his so called Tanga-Tanga movements, which are disguised as development tours. In these photos that were taken in Nakuru, Ruto is seen extremely exhausted. Before this event in Nakuru, he had attended 3 other events in Kimilili, Eldoret and Nakuru.